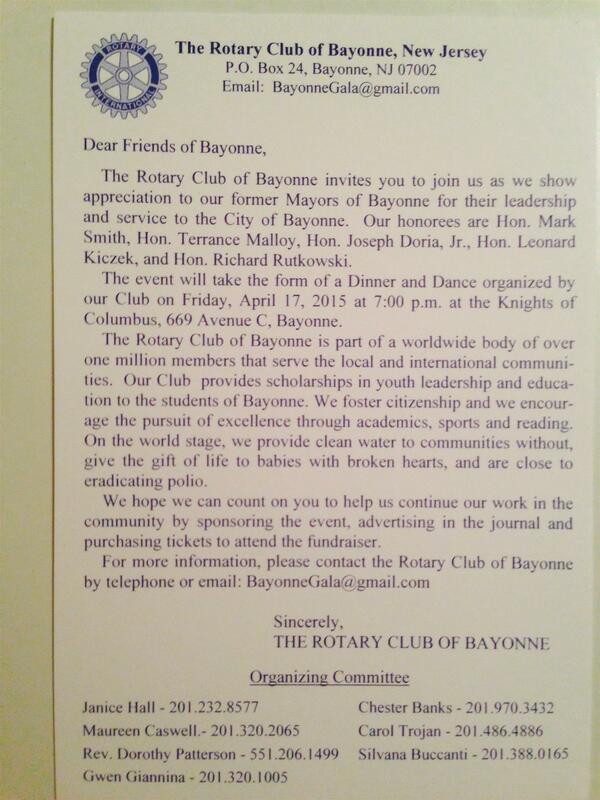 Second and Fourth Tuesday of each month at 7:45 a.m. 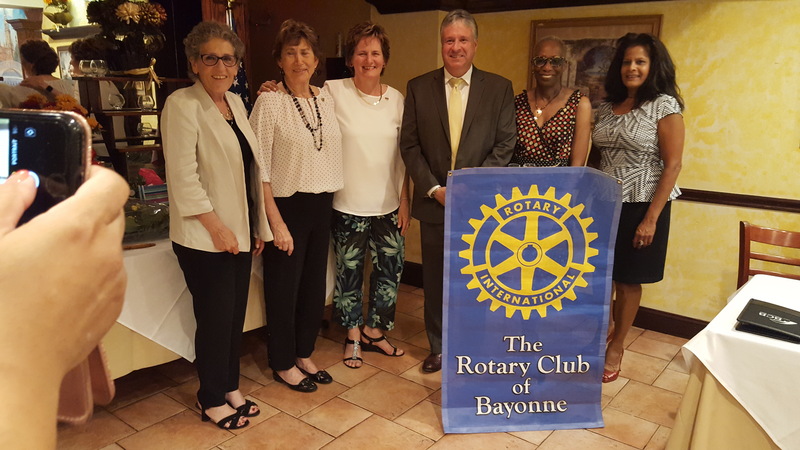 The Bayonne Rotary Club, chartered in 1920, meets every second and fourth Tuesday at 7:30am at the Chandelier located at 54st and Broadway in Bayonne, NJ 07002. Rosemary Kellner is the 2018-2019 Club President.